Dave, what is the current focus of the company’s technology activities? We are excited about the initiatives we have underway right now. We have a great reputation for being a strong customer service organization, but we are taking that to the next level. We really want to elevate the traditional mindset around customer service to a more progressive approach for the end-to-end customer experience. We want to use data and technology to really give a rich personalized experience for our customers. Part of that is connectivity. We want to see people to people being connected through technology as well as people to other companies, ourselves with our client’s companies, ourselves with our supplier partners as well as connecting with the drivers of the vehicles themselves. Connectivity entails using relationship software, software that is designed to enable relationships, not replace them. Many companies design systems that they want to be the end destination. We think technology should enhance relationships, not replace them. Where do you see the fleet industry most impacted by technology? There is a lot changing and we are on the cusp of changes in many areas. For example, mobile; people are not going to be attached to their desks anymore. They are going to be able to do their job where ever they are. Mobile devices, tablets and smart phones – most people that travel probably don’t take a laptop anymore – they bring just a tablet and a smart phone. However, anytime you add mobile connectivity to drivers, you need to be careful. Safety is a key ingredient that follows. Another area of change is the increase in empowered drivers. We see fleets setting their goals and policies and then using automation to empower the drivers to make decisions at the time of the transaction. As a result decision making can take place at the transaction level by the people who are on the scene. Of course out of that comes increased productivity. We’re on the leading edge of some big things happening in technology. What do you predict will be some of the future technology trends for fleet? Well, future technology trends will depend on how far out you look, but some of the things that are happening now include changes in process efficiencies. Companies are being more efficient about their processes so that changes the way work is done. There is a lot going on in social media, as well. As people get more and more comfortable with that, we will see more of it in the future. In-vehicle technology – telematics information is changing things. Vehicle to vehicle communication is coming, which will increase safety in a lot of areas because the vehicles will communicate as they go down the road and tell you about distances and about traffic patterns and other issues. What excited you about technology in the fleet industry? Well, I am glad you asked that because using technology to really change the way business gets done is a passion of mine. It is okay to be faster and better at things, but you really want to be doing the right things and you want to be doing them in the right way. For example, most companies design a system and then they build it, and they test it and then they apply usability concepts at the end where they are rearranging things. We have started a new process where we identify the person and the task they are doing and then we continue to design that experience right up front to get that task done. Then we build the system using an agile development methodology so it virtually comes to life – it’s a really different way of doing business. So, we’re changing the way people’s work gets done. It is really an exciting time because we are making their jobs easier and really helping them out. What are some of technology programs and initiatives underway at PHH? We have always had a strong focus on operational excellence – the internal processes that help us manage our customers’ fleet transactions accurately and efficiently using real-time technology and metrics. We are also looking at predictive modeling and predictive analytics, which will allow us to be more proactive in creating tools for our customers. Additionally, we have launched and continue to develop mobile applications. We have PHH InterActive Mobile, which is for fleet managers, and PHH InterActive for Drivers Mobile – both recently released. We also have future mobile releases slated of additional programs. With each of these, data is key. So, we have initiatives oriented around managing the data and keeping the data secure. Finally, of course, there’s our focus on technology to limit distracted driving – such as iNmotion. 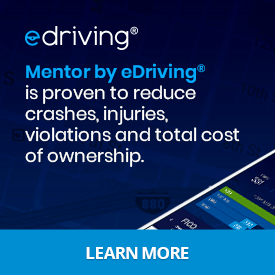 Last year, we partnered with ZoomSafer to create the fleet industry’s first mobile application for smartphones that detects when employees are driving – and automatically enforces compliance with company policy. We will continue to use technology in ways that enhances the driver experience – without putting that driver in harm’s way. David Zuidema is the Senior Vice President of Customer Experience for PHH Arval. He led the establishment of a Customer Experience center and created a Customer Journey Map that details points where clients and drivers interact. He has been with the company since December 1981 when he started as a Planning Analyst. Back to Basics - Your Keys to Safe DrivingPeter King: How Can Propane Impact a Fleet's Bottom Line?